In an interior village deep in Karnataka, a fortune teller visits a poverty-stricken family and tells them that their fortune is going to change overnight. Based on a play by Mohan Habbu which was based on the Russian story titled The Return of the Soldier. NIce story, worth watching. The story narration could have been better. Overall a nice and short movie. Fantast story and nice acting.... Greed is the root of all evil. Good direction and nice story. Its not an horror movie. Oh common my friend... You didn't have to say that about other language movies. Each is unique!!! Police are shameless. They go to a poor person's house and take their food. Indian Police are absolute corrupt. 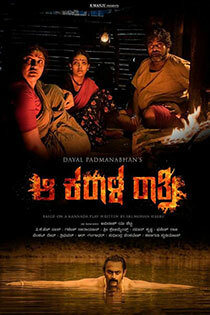 i don't know Kannada but I really enjoyed the movie. Very well written story. Good action by all actors. Direction is really superb. Hats off to the entire team, best movie I ever watched. I am speechless after watching this movie. For sure its a MUST MUST watch movie. Simple, yet meaningful. Exposes the inner depths of twisting tendencies driven by the external forces. Must watch! Time passes by.. Awesome story-line, but really appreciate directional and editing department.. Simple and Excellent movie !!!!! How can people be so cruel?! Really very nice screenplay, whoever it is certainly it will make you feel very sad after watching the movie. Please add Sarkaari hi. Pra Shaale...It's a must watch movie.